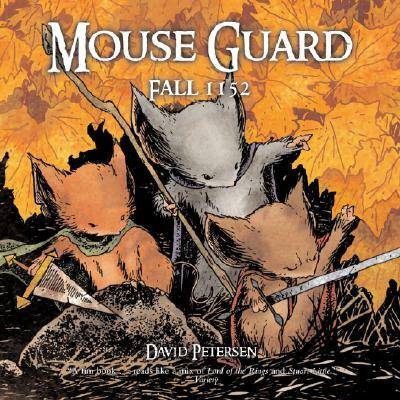 Just in time for the holidays comes this limited edition of Mouse Guard: Fall 1152, presenting the original size and format (12" x 12") of David Petersen's black-and-white artwork for the first series. David Petersen was born in 1977. His artistic career soon followed. A steady diet of cartoons, comics, and tree climbing fed his imagination and still inspires his work today. He earned his BFA in printmaking from Eastern Michigan University and resides in Michigan with his wife, Julia, and their dog.